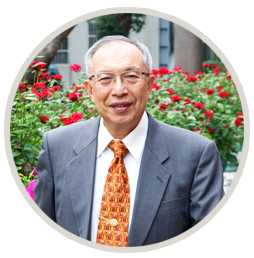 Dr. Hsin-Hsiung Chang, born in Tainan, had his doctoral degree in Agricultural Economics from Tokyo University of Agriculture in Japan after he graduated from National Chengchi University with a bachelor’s degree of International Trade and a master degree of Business Administration. He once worked in Taiwan's largest enterprise—Formosa Plastics Corporation—as a special commissioner in General Manager’s Office before he became a professor in the Institute of Industrial Management at National Cheng Kung University. He has rich experience in business management, international marketing, sales management, marketing management, together with excellent academic performance and knowledge. In 1986, he was appointed Vice President of Nantai Technical College. In addition to improving the hardware and campus environment of the college, he made many more other contributions, including making Nantai the first technical college to recruit teachers with doctoral degrees. It was he who laid the foundation for the future development of Southern Taiwan University of Science and Technology. In 1989, as his ability to promote the college was greatly recognized by the board of directors, he was elected the president. He upheld the goal of the board—to run a first-class university—and put forward his principles: to look forward, to be reasonable, to be efficient, to speed up, and to keep track. He adhered to the principles of enterprises and require everything to be done for the best. This has been his philosophy to run the university. Dr. Chang believes that education should be a century-long plan. During the 18 years he worked as the president of Southern Taiwan University of Science and Technology (1989-2007), he selflessly dedicated himself, holding on to the principle: Whatever from students should be given back to students for their good. In order to establish a first-class university with whole person education, he worked assiduously and had brilliant performances. In 1994, all the five departments and eight administrative units of Nantai College won the best in the evaluation held by the Ministry of Education. In 1995, all the six departments of the College of Business were also evaluated as the best, ranked first in the country with the most prestigious National Taipei Technical College at that time. In 1999, Nantai College became the first private technical college allowed to upgrade into a university. It has been a legend for the higher education in Taiwan, and Nantai has been constantly mentioned as a model for colleges and universities of science and technology. In 1999, Dr. Chang won the "Guo-Ding Li Management Medal" by the Management Science Association of the Republic of China. In 2001, he was awarded the 15th "Hong Kao Award" by ROC Private Education Association. In 2003 and 2006, he won "Outstanding Contribution Award for Technical and Vocational Education" and "Lifelong Honors Award for Technical and Vocational Education" by the ROC Institute of Education. Dr. Chang was later elected Chairman of the Chinese Association of Service Management for the years from 2006 to 2012. In 2009, he was given the “Honorary Doctor of Philosophy” by Soka University in Japan. In 2012, he won "Outstanding Contribution to Technical Education Award" by the Ministry of Education. Given the ever-changing educational environment and confronted with the challenges that follow, Chairman Chang will keep to the great traditions he inherits from the past and uphold the concept of "running a school with conscientiousness,” making his greatest efforts for the development of school affairs. He sincerely hopes that all the predecessors in higher education can support Southern Taiwan University of Science and Technology with more guidance and encouragement, making the greatest contribution to the education in Taiwan.